Old adventurers tell stories about a strange metallic temple hidden deep in the dark green of the forest. A place of strange machines, and incubation chambers where the horror of weird science takes place. 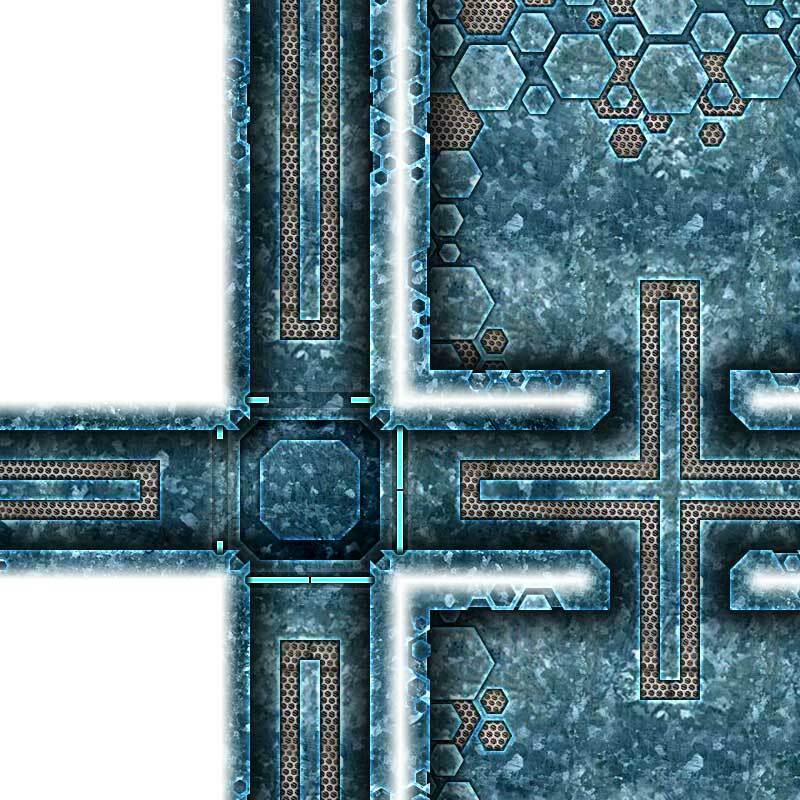 The Alien Hive Map Tiles collection of art assets gives you the ability to build strange extraterrestrial adventure maps for your science fiction or fantasy role-playing games. 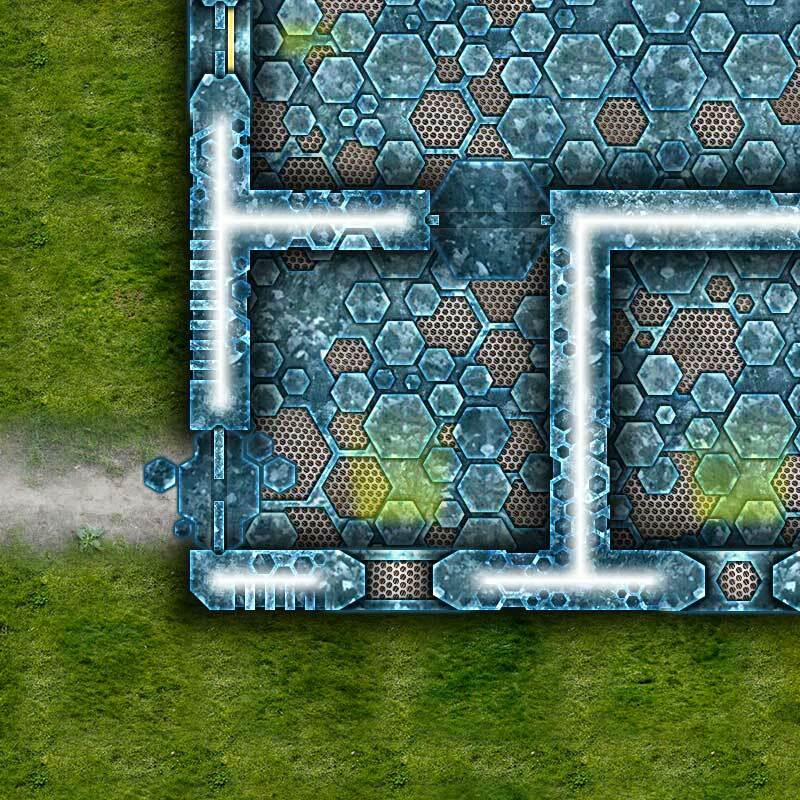 Our map tiles depict an area of terrain, such as the floor of a cave, an area of grass, or where the floor meets a wall. The map tiles are provided as ready-made art elements that can be pieced together on a digital canvas to form an adventure map that players can explore. All Studio WyldFurr map tiles have a unique “look’n’feel” as each map tile is a combination of photographic source material combined with hand drawn artwork. Rendered at a scale of three on screen pixels to each real world inch, resulting in 180 pixel squares to each 5ft game grid. The map tiles have been made as a kind of ready-made art pack that you can simply just drag’n’drop onto a digital art canvas to build a map. To do this all you need is a graphics editing program such as Photoshop or Gimp. We recommend using Gimp, it is free and is a very powerful program for this task. If you are not sure about what to do, you can watch Tailz building a map in Photoshop via the YouTube video displayed below. Plus we have a number of video clips on YouTube displaying maps being built with the range of Map Tiles from Studio WyldFurr. 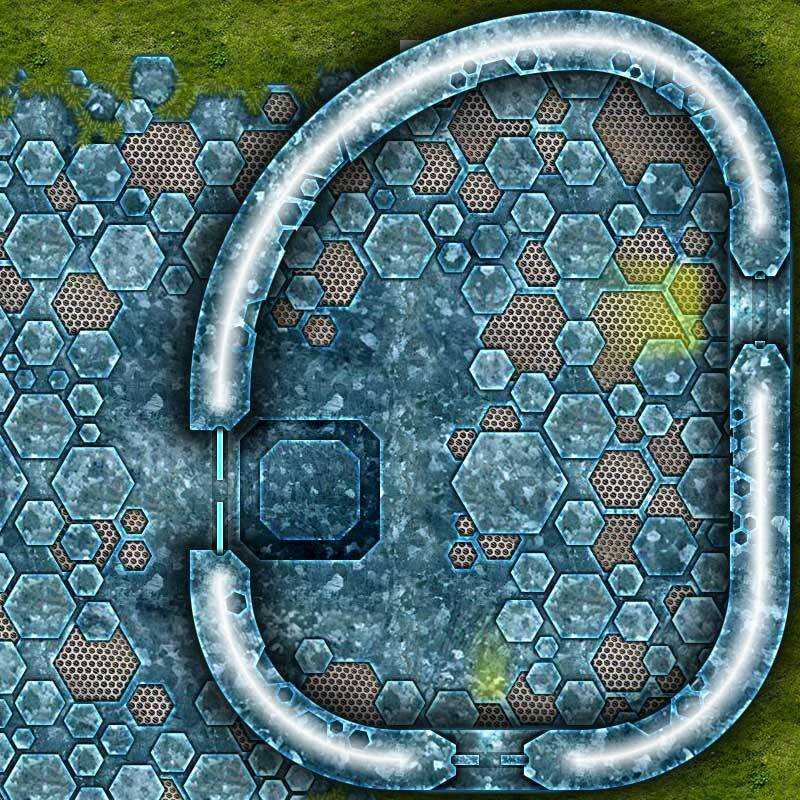 This edition of the Alien Hive Map Tiles pack is designed for use by Game Masters who love building their own maps, and want access to a toolbox of ready-made artistic material rather than the hassle of designing their own material from scratch. The map tiles within this package were designed to act as library of art assets that a Game Master could simply just drag-n-drop onto a canvas to form a map. The package contains a wealth of raw image files in JPG and PNG file format. 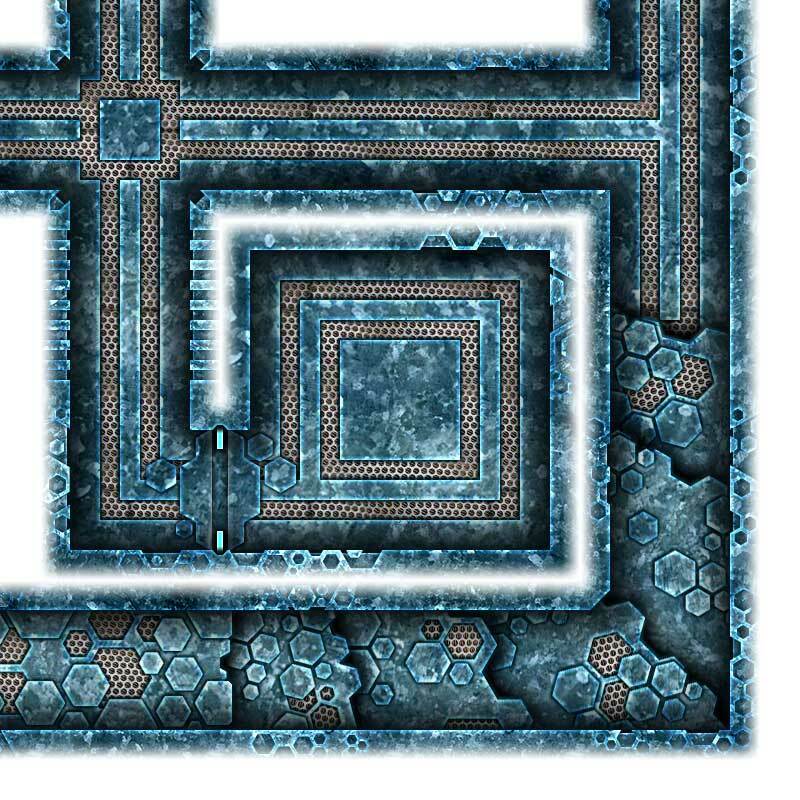 These image files form the building blocks which you can assemble into the form of a dungeon, fortress, monster lair, or whatever kind of adventure map structure you desire. Simply start with a blank canvas inside the graphics editing program of your choice, for example: Photoshop, or Gimp. Then start composing the form of an adventure location by grabbing a map tile from the library, then plonk it onto the canvas right where you want it to go. Keep placing down map tiles and your adventure map will take form like a giant jigsaw puzzle. 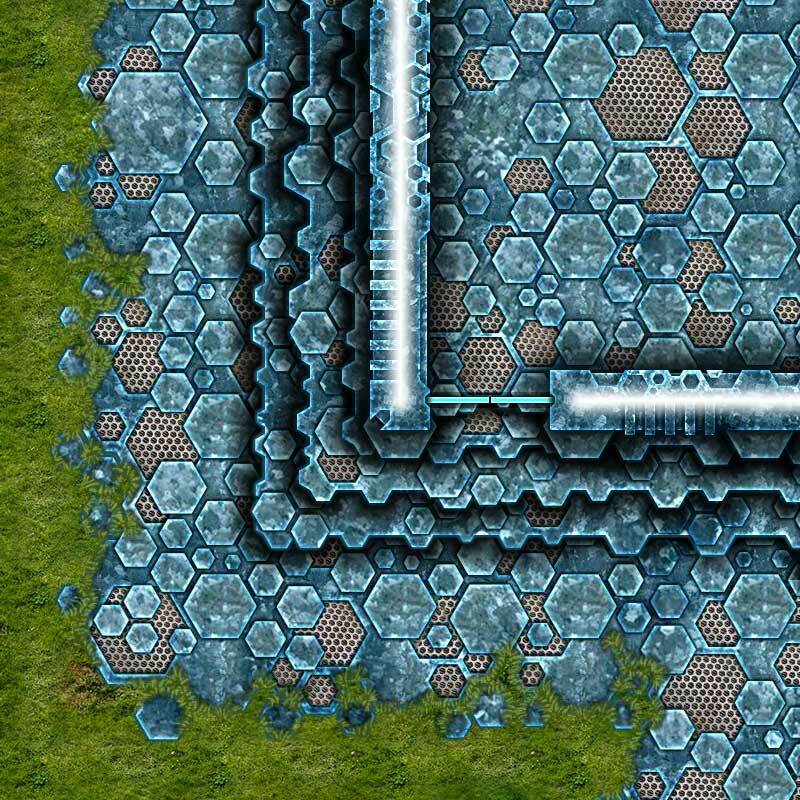 Using map tiles permits very granular control over the form of your adventure map chambers and passageways, rather than relying on pre-constructed rooms which you cannot change. Once the structure of the map is in place, add the final touches by dressing your map with props and object tokens such as tables, chairs, statues, etc. 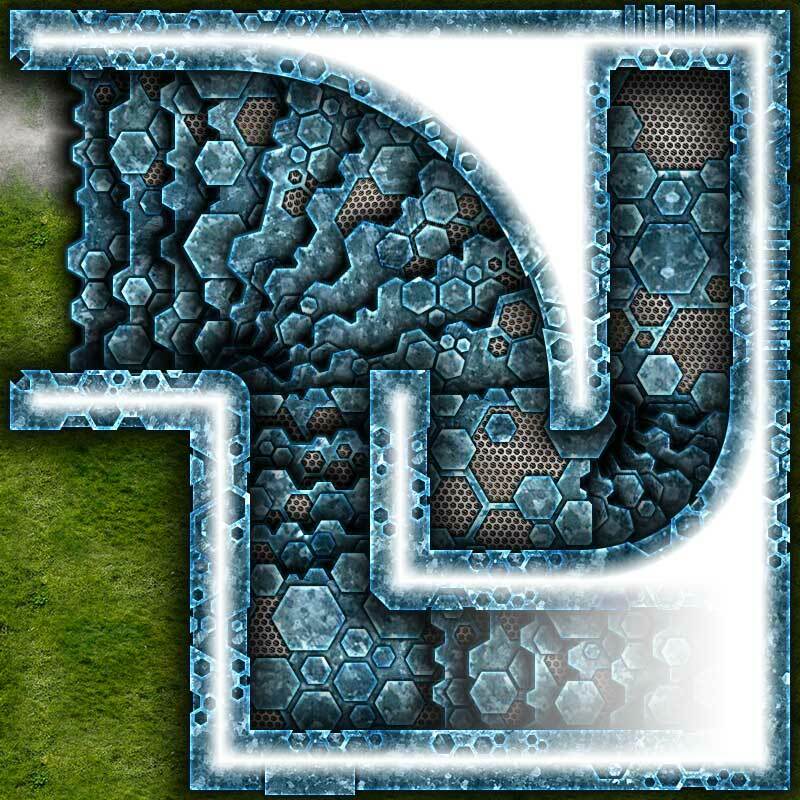 "Hello folks, I am Tailz from Studio WyldFurr and I would like to thank-you for checkout out this pack of ready-made map tiles art assets. 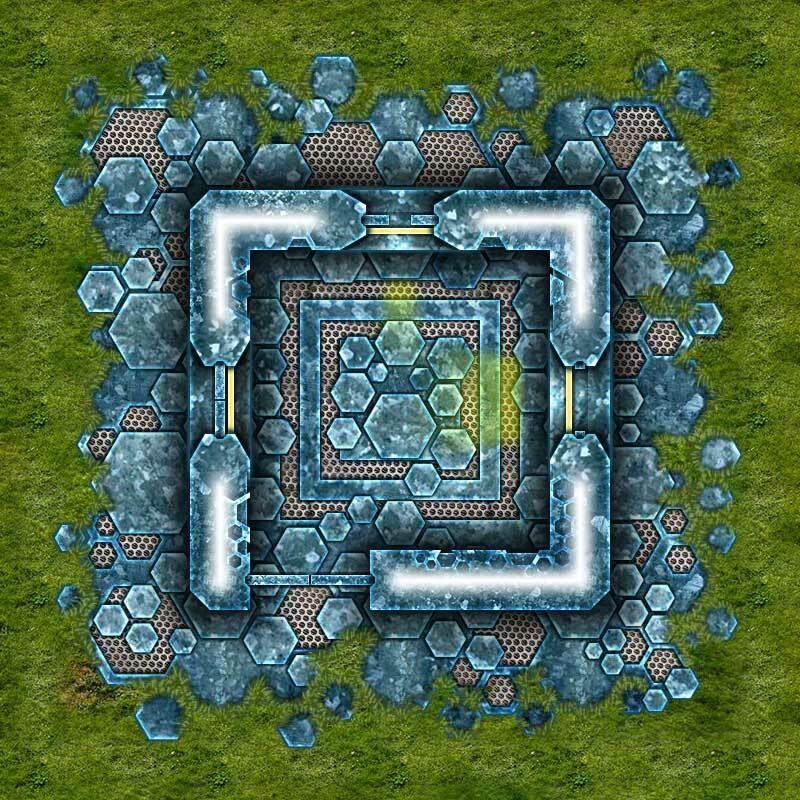 This set was designed to complement the Sci-fi Map Tiles set, but can easily be employed with the fantasy Dungeon Map Tiles sets. 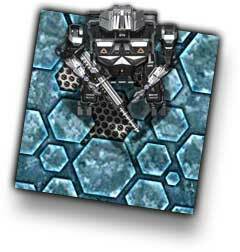 I hope you have as many hours of fun building alien monster lairs with these map tiles as I have!" - Tailz from Studio WyldFurr. IMPORTANT: This pack of art assets is intended for use creating maps for employment on the virtual role-playing tabletop. In apps such as Fantasy Grounds, Roll20, Battlegrounds, or d20Pro. This package is not a stand alone game, but a gaming aid for designing role-playing maps for personal use only. Sample mini-maps made with the Alien Hive Map Tiles set. This title was added to our catalog on March 30, 2019.